#Final4 - Colmenares: "This is a historic moment for Guaros"
BARQUISIMETO (Liga de las Americas) - Barquisimeto prepares for the celebration of the Liga de las Americas Final4 and Nestor Colmenares targets to give joy to the fans of Guaros de Lara. For the first time a team from the Venezuelan Professional League will form a part of the definition of the most important club competition of the continent. 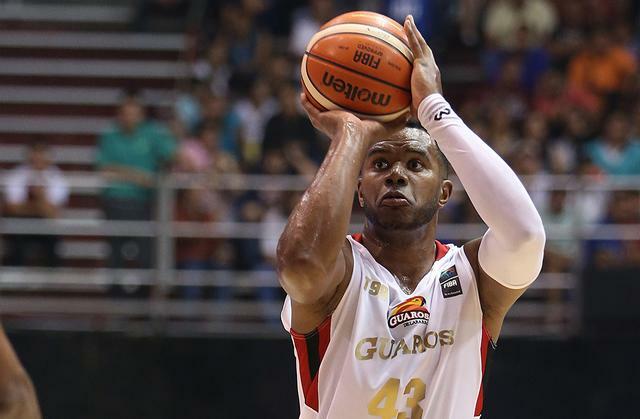 For that reason, the power forward Nestor Colmenares says, "This is a historic moment for Guaros and for that reason we live the moment with happiness. The expectations are to win the tournament in front of our fans, because they showed that they always support us." However, of the four participants of the Final4, Guaros de Lara has the lowest record, adding 4 wins and 2 losses, a fact that may show the irregularity of the team in the earlier stages. The Venezuelan power forward recognizes that reality, stating that the team must "be more consistent in our performance. That's something to correct. Otherwise it will be quite difficult to reach the final. Compared to the team of the Liga Sudamericana, we are more engaged, stronger, because we are on pace with the competition thanks to our Professional League. That gives us another power and increases our chances. The key will be the defense, because that’s the aspect that wins championship." The Venezuelan team will clash against Mogi das Cruzes at the first day of the Final4, on March 11. Although Mogi became the revelation of the LDA, not facing Baurú or Flamengo, seems like a plus. The Domo Bolivariano de Barquisimeto will live a special moment, hosting the definition of the 2016 Liga de las Americas. Is expected that the fans of Guaros will fill the stadium, which will encourage their players. "We have an important factor in our side, which is the support of our audience. But beware, that does not mean we will win the tournament that easy. We must work twice as hard to bring happiness to all Venezuela and especially to the people of Guaros. We can take advantage, because we will be at home. It will be a special situation, but we do not want to fail in front of our audience and we will leave everything on the court so the continental title stays at home," said Colmenares.